This was an interview that was originally done for the magazine when I was doing it. Julia Anna Gospodarou is an artist that so many people like and she was wonderful to let me do this. With the Introducing Artists that I admire series it seems like a good idea to go back to those interviewed and show them here. I may have to try finding some new ones to interview as well. Please note, that the interview was done a couple of years ago and some of the information may have changed. Julia has been an inspiring artist for me, and I didn’t want to leave her interview in the back up folders, so it seemed like a good idea to put it here. She is an incredible artist and a very approachable person and I have loved the relationship we have built over time. I just wish she would come to Melbourne so I could meet her. Some questions were sent to her by me and she responded to them. Q: How long have you been taking photos for and how did your photography evolve? Julia Anna Gospodarou: I started taking photos when I was a teenager, around the age of fourteen or fifteen years old, and then I continued taking photos for all of my life and am still doing it. However I remember wanting to take photos from when I was just a little kid. I didn’t have my own camera back then but one of my favorite occupations was to play with my father’s camera, an analog camera, obviously, at that time. I remember that I was fascinated by the entire process of taking photos and developing them, without even knowing exactly how this magic happens. I knew there was magic involved in creating a photograph. Photography seemed to me a fascinating world from back then already. From fourteen years old and after that I always had a camera, sometimes it was closer to me, sometimes it was just somewhere there around, but I remember having a camera as part of my life for a very long time. At some point I started to be interested in architecture and started taking photos of buildings. I remember when I was traveling I would always have my camera and my films with me. I would try to fit as much material as I could on those rolls of film and never have enough. Happily, with digital cameras that is not a problem anymore. I was using the camera to document what I loved, but back then I couldn’t re-create the world as I would want to, because analog photography is totally different from digital photography and we didn’t have the freedom with film that we have now with digital and the software we are working with. So I was always longing for more and this came with digital cameras. I was resisting the digital world in the beginning and I only got myself a digital camera in 2007, quite late compared to other photographers I know. The digital camera gave me the freedom I needed and helped me move from traditional photography to fine art photography. I was finally able express my real ideas. Somewhere along the way, my work started to be appreciated and one thing led to another and before I knew it I was doing photography as my main occupation, as my profession. I didn’t necessarily seek it, it was more that I had the enthusiasm and the passion to work in this direction. People liked what I was doing. I started to teaching, doing workshops, and working on assignments. It was one of those cases when you realize that this was written for you. Of course all this didn’t come over night. I have worked a lot on my photography, in all aspects It is not easy, it requires a lot of time, concentration, passion, dedication, and sacrifices, but I’m happy that I can do this and if you ask me, at this moment I wouldn’t do anything else in the world. Julia Anna Gospodarou: I started photography in my early teens with a 35mm analog camera and a 50 mm lens. It was a basic camera of the type of the LOMO cameras that were popular back in the day. Its name was Smena and it was an entry-level Russian camera quite widespread in circulation at the time when I was starting photography. I still have that camera somewhere in my parent’s house and I’m always nostalgic when I look at it. It is like a history object coming from another time and also a memory of my first steps into this amazing adventure of photography. Q: Why do you shoot architecture? Julia Anna Gospodarou: It is quite simple. Architecture is my big love. I shoot architecture because I love it. I shoot it because I can express myself through architecture. It is part of my life, because I think in architectural terms. Also because I love space, form, the play of light with geometry that architecture can offer to a photographer. As an architect as my main profession this may explain in a certain measure why I love architecture. This love existed from before I became an architect. I think it existed from when I was a kid and I loved to play with forms and shapes. In photography, shooting architecture gives you the possibility to interpret light in a myriad of forms. Each angle of the building or the structure you photograph can offer something else in terms of geometry and light. The interactions between the volumes of the building, or between the building and the surrounding area can be so amazing if you know how to look at them. For me architecture has substance, it has many elements to play with, it has logic and poetry at the same time, it’s clear and mysterious together, it is mathematics and philosophy in the same shell. This covers my need for both logic and emotion in my life. This is who I am, I touch both extremes, of logic and of emotion, and this is why architecture and working with architectural objects in photography is giving me the best playground for both my desire for order and for my imagination. Architecture excites my mind and my soul. While landscape photography for instance goes mostly to my soul, but leaves my mind longing for more excitement, architecture is a perfect balance for me between the two. Q: Why do you do long exposures? Julia Anna Gospodarou: I need to travel constantly, at least with my mind, and long exposure through the surreal effect you can create with this technique, gives me the possibility to travel to worlds and places I could never travel to in reality. This is why I use long exposure. It puts me in a totally different environment from the point of view of what is real and what is imagination and I love to be there, because I can express myself best in an environment that has no rules, where you are free to replace everything you see with your interpretation of those things, and long exposure photography gives me this freedom. From the short long exposures of just a few seconds where I can blur the motion of the people just enough so they become something else, an impression, an idea, to the prolonged long exposures that can take many minutes and where everything becomes serene, soft and outer worldly, I am embracing all kinds of long exposure and I love to play with what each length of exposure can give me. Q: Why do you do black and white? Julia Anna Gospodarou: I love philosophy, I love poetry, I love metaphors. I think black and white is the philosophy of photography, it is the poetry and metaphor of photography. I think black and white can express ideas and feelings much deeper than color photography. In my opinion color photography can make us feel good but black and white photography will make us think and feel emotion, a deep and very visceral emotion that I don’t think color photography can offer. This doesn’t mean I don’t like color and I sometimes work in color, not very often lately, but I was working with it in the past much more. But at some point I needed to go deeper, I wanted to really express myself, to express my very deep emotions, to give a visual form to my life experiences, and black and white seemed much more fit to do this than color. To use a comparison I would say color photography can make you laugh while black and white photography will make you smile. Both are positive expressions but they are so very different. Besides, I think black and white is the expression of light, the essential expression of light, and light is what photography means. I think color is in addition to photography and not an essential part of it. This is why sometimes I have the sensation that color is used as a trick to make something look better and more “likable” or accessible, but not necessarily to add substance. At least in the case of photography. I wouldn’t imagine painting in black and white, there you need color, and I used to paint in the past and I couldn’t imagine to paint without color. But when I think of photography I want to do something else. I would rather associate photography with drawing, with classical drawing which I was also doing in the past and which I couldn’t imagine to do in color but only in black and white. I think this is a very personal opinion and I’m sure others may think differently but for me this is what photography means because this is my experience with it. However I couldn’t say how things will evolve in the future. I like to experiment with everything and it is very possible that at some point I could work again with color. But for the moment black and white is the language that gives me the most freedom in expressing my feelings and vision. Julia Anna Gospodarou: I am not sure. I think I get my aspiration from everything. In fact I have more ideas than time to work on them, and by the time I get to work on some of my ideas I already have new ideas and I’m never sure what I should do: go on working on my present ideas, or stop and work on some new ideas. So I need to discipline myself many times to go on with a project and finish it or at least take it far enough so I can answer my initial questions that made me start it, before starting something new. I like to work in series when I work on photographs. At some point one of my students asked me why I only create five or six images in each series and I was very honest in answering him that I would love to do more images in a series but that I can’t stay still, I need to move on and try something new. I think there are so many things that can inspire us in this world, all we have to do is open our eyes and look, and leave ourselves free to receive what we are getting when we are looking at the world. I think a word, a person, a trivial experience, a sound, a taste, all these things can inspire us if we take the time to look at them and to interpret them without considering them a matter of fact. And sometimes we can take inspiration from our own work, from a book we are reading, from a new place we are visiting, from a new technique we are learning, from a new piece of gear we are buying, from using known tools in different ways. The only requirement is to think outside the box, to let our mind wander free and not set limits. Of course we have physical limits, of course we cannot do anything and everything, but our mind has no limits, our imagination can go everywhere, in every way, can think and do everything. This is the amazing thing about art, and by extension fine art photography: that you are free to create a world that can’t exist in reality but can exist in your mind and in your soul. There is no other way to re-create such a world than by creating art. So in this respect I consider myself immensely lucky to have found photography on my path and be able to use this tool to re-create what I have in mind. It is such a relief for my imagination that I have this tool. Q: What are the challenges of being a female photographer? It is much harder to impose yourself as a professional in photography when you are a woman. Architecture is the same. This has its roots in education. Even if we live in an era when everything is changing so fast. There is also a psychological explanation for this as men have the power. At least most of the power at this moment. They are not so willing to share it because they are afraid for their position. Nobody likes to share their toys, right? Even if we are so advanced we will become more with every year that passes. We will need to wait for quite some time until the so-called male and female equality is a reality. The way this will change is by women becoming more and more active. Be aware of their force, not necessarily as women, as a gender, but as professionals. I see a lot of women around me who don’t have enough confidence in themselves. Many times due to how their work and how they are evaluated when they work with male peers. Most men are not even aware that they treat women professionals in a different way. When they told, they are genuinely surprised. How we can deal with this status quo until it changes? The best way I’ve found to deal with this is to ignore it. In the sense that I don’t let it change my plans, my dreams, my projects or the things I want to do. I never think about myself as a female professional. I always think about myself as a professional, a photographer, an architect. And from my experience this helps a lot. First in how I present myself and how I plan my work, but it has also helped in how I am perceived by male peers. Of course, I have had negative experiences too. It is impossible not to have them when you deal with a lot of people. However, I never let them change who I am, what I do and how I work. This would be my best advice for women who are working in male dominated professions. Know who they are and never to think in terms of gender for (in relation to?) their work. This doesn’t mean that we shouldn’t use our qualities and sensitivity as women. This can be a source of creativity that can help us a lot in our work. It can show a different way of looking at the world. Other than this, I wouldn’t think in terms of male or female, but in terms of professionals. Q: Are you Canon or Nikon? Or something else? Julia Anna Gospodarou: At the moment I’m using both Canon and Nikon, but mostly Canon. My main camera is a Canon 5DMKIII and I also work with a Nikon D7000. I couldn’t say I like better one or the other. I consider both of them just tools and this is why I use both. I used to work with Nikon exclusively. However, when I wanted to start working with a full frame camera, I found that a Canon 5DMKIII was better. This is why I switched to Canon. Same thing happened as for the lenses I was using. The tilt-shift lenses that I’m using are Canon and they serve my purpose better than the Nikon ones were. So these were the two reasons why I switched to Canon. For my full frame camera and my tilt shift lenses. Q: What is your favourite lens? Julia Anna Gospodarou: At this moment the lenses I’m working with most are my two tilt-shift lenses. My Canon 24 mm TS-E and my 17 mm TS-E. These two lenses are very good for architectural photography. Not only in the traditional sense of architectural photography, but they also give you a lot of creative options to play with. Like depth of field, geometry and point of view. This gives me a tool that is helping me to create a different vision of the word through my work. I always think of what I can create differently with a piece of gear I’m acquiring. This is why I never buy anything new if I don’t have a clear creative use for that piece of gear in my mind. Q: What is your favourite place to take photos? Julia Anna Gospodarou: Generally every spot in the world that has interesting architecture will be for me a perfect playground. But I also need an emotional connection to the place I’m shooting. This is why I have a few favorites among the cities of the world. A few places where I will always go with pleasure. I always find new subjects to shoot and new ways to interpret them. These two cities are Paris and New York. 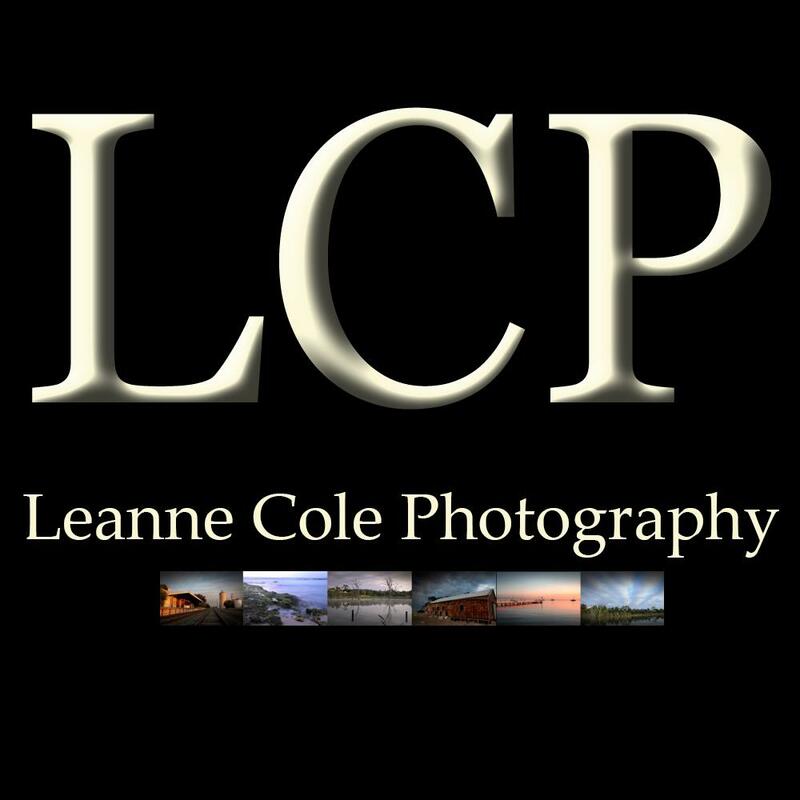 Not only do they have a lot of great subjects for photography, but also for any kind of photography. I like to work with other genres also, but they have a rich substance. They have history and are full of stories. I’m always drawn to the stories of a city. Not only to the stories of the buildings. Or the structures of the city, but also to the stories of the people. Photography is a great tool for recording all this. I’m a passionate traveler and even if I’m mostly known for my fine art architectural photography. I like to take photos of many other things when I travel, street photos, travel photos. Whatever makes me feel emotion when I come in contact with the place I’m seeing. Here are some links to help you find Julia on her website and social media sits. If you enjoyed this article consider subscribing to the blog. You can do that by clicking on the subscribe button at the top of the sidebar. If you would like to join the email list for additional information send an email to leanne@leannecole.com.au. A wonderful interview Leanne, thank you. You can’t help but be inspired by her, you can feel the enthusiasm in her answers. I’d love to do one of her workshops in NY. You’re welcome Cheryl, I have to agree and she is such a generous person. I would love to as well, I’ve been trying to convince her to come to Melbourne. I really am in awe of Julia’s work and along with Joel Tjintjilaar they are certainly my main inspirations for doing B&W architecture and long exposure photography (along with yourself of course). They are also very generous with what information they give as well. They are great artists. Leanne, thank you so much for this. Her photos are stunning, and they make me want to experiment. That is wonderful, I love it when I can show someone who inspires others. I have read the book too Rajiv, it is great. I am glad this is someone you admire too. Yeah. I have long wanted to improve my b&w. This is where i started. So, I have taken a step back from social media for a while. Is that why you haven’t been sending photos for MM? I got the book because I wanted to know more about her approach to long exposure photography. Oh, let me know how you go with the pinhole. I have a body with a pinhole in it, but I keep forgetting to try it out. I must look into it. I need to organise my ND filters and start doing some stuff! I know that feeling, we have been trying to do some of the same. Sounds like you have to great plans Rajiv, I look forward to seeing the results. That would be fantastic Rajiv, thank you. Thank you for sharing , Leanne. Julia Ann has an admirable vision, I love the way she presents herself and talking about the issues of being a female photographer, she hit the nail and I love her respond. You’re welcome Cornelia, She is an amazing photography and provides a lot of inspiration. Excellent subject and interview. I think Gospodarou is one of the most innovative and influential photographers currently practicing, and I am much motivated by her vision and technique. Thanks to both of you for sharing this! You’re welcome Mike, I agree with you, she is that. I am so glad you enjoyed the interview.